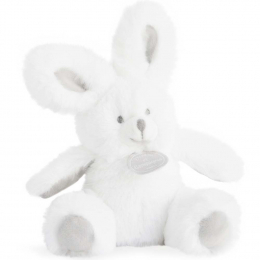 Doudou et Compagnie - Rabbit Rattle Toy - Grey. This tender little sweet bunny rattle toy is adorable. It has a lovely bell rattle. A perfect gift to delight all babies from birth.